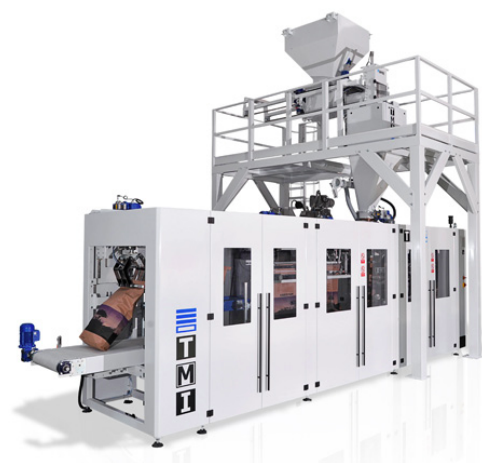 The Ilersac L is an automatic bagging machine for open mouth bags that will maintain gussets. The Ilersac L has been designed as a modular machine for the handling of open mouth bags, both with or without side gussets. It can handle paper, PE or woven PP open mouth bags & maintain the form of the gussets. The ILERSAC L has been specifically conceived for the proper bagging of fine and dusty products, bearing in mind the most demanding performances required in terms of tightness, reliability, efficiency, cleanliness and security.